Our kitchens are one of the most-used rooms in our home. It’s a room where usability and ease-of-use matters the most, so it’s no surprise that kitchens are one of the most popular rooms to undergo a renovation. And those renovations don’t come cheap! For upper-end kitchen renovations, the bill is coming in at an average of $54,000, according to one estimate. 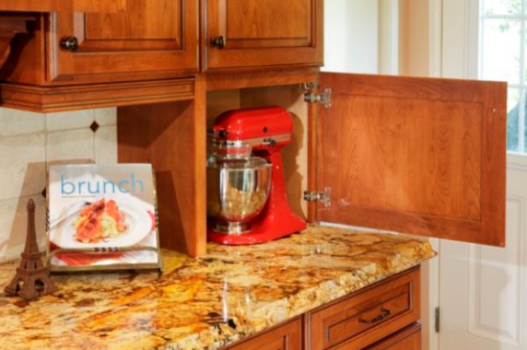 If you’re going to undergo a major kitchen renovation, you’re going to want to make sure the resulting changes can withstand the test of time. The truth is, there have been some major faux-pas in kitchen design in recent years – aesthetic features that seem to look old and outdated as soon as a year after the job is done. Don’t make this mistake! 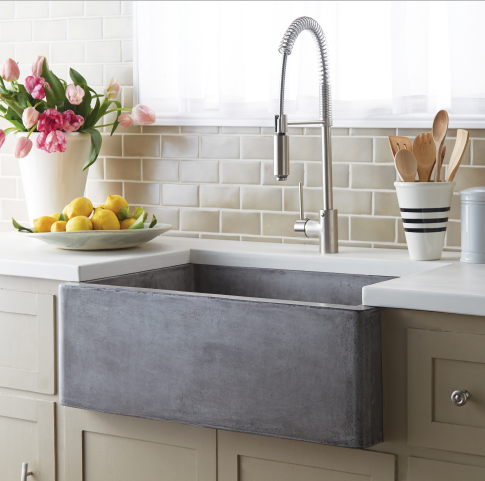 Help ensure your kitchen stands the test of time and doesn’t look tacky by avoiding these well-known kitchen renovation style mistakes. This one was in style around 2011 – the apron-front sink. But it didn’t last, and isn’t commonly found anymore. This might be because the front lip of the sink sticks out in a funny way, resulting in a lack of symmetry with the surrounding counters. A timeless choice? Stainless steel. Microwaves were once a major kitchen luxury – and so big and boxy they could only fit on top of the counter. Those times have thankfully passed, and now microwaves are commonly built into upper cabinets or under-counter drawers. Also known as appliance garages, these were once a popular kitchen feature – but only in the 80s and into the 90s. Now, common appliances such as a blender or coffee maker don’t need their own little house, but instead just sit on the counter or in a drawer. It’s important to keep in mind that sizes and shapes of popular appliances change on a yearly basis! What may seem convenient and easy now may be useless down the road. This is another blast from the recent past. While trash compacters were one a popular item in the 1970s and 80s, they’re not anymore. This is because they can be problematic – breaking down and developing foul odours if they fill up. Only a few years ago, the trend in open-style kitchens was to hang your pans and pots from a rack over your oven – resulting in a bit of a jungle of cooking tools. Nowadays, however, the trend is to hide these accessories away from public view, by placing them in deep roll-out drawers.